Turkey refuses to turn back on its purchase of Russia’s S-400 missile defence system despite clear and consistent U.S. opposition, President Recep Tayyip Erdoğan said on Sunday. "There will be no backward steps on the S-400 deal. 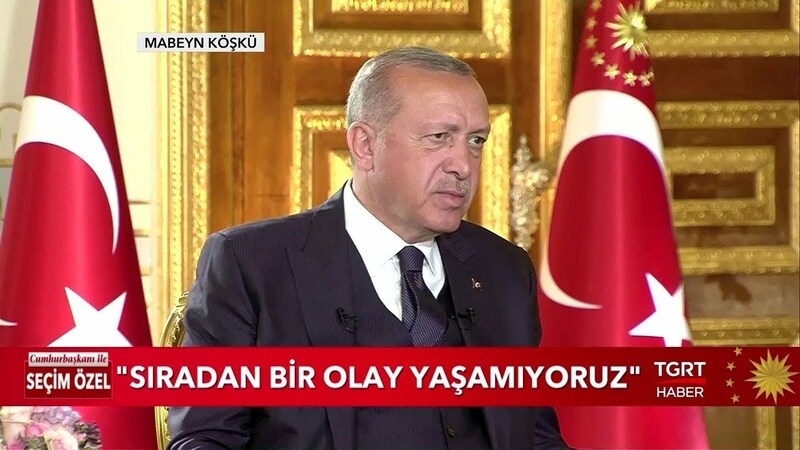 Besides, we said, ‘Draw up a contract for the Patriot (missile system)' to the United States," Erdoğan said during a televised interview with Turkish broadcaster TGRT. In December 2017, Turkey and Russia finalised a deal worth a reported $2.5 billion on the sale of the Russian missiles. Turkey is expected to receive delivery of the initial S-400 systems in July, while its NATO allies are concerned that the Russian-made system could collect data on NATO technologies and undermine their defences. NATO’s supreme allied commander in Europe, U.S. General Curtis Scaparrotti, this month said that if Ankara went ahead with its S-400 purchase, Washington should not deliver the F-35 fighter jets to Turkey. The U.S. Congress passed legislation last year to block the delivery of F-35 jets to Turkey should the Turkish government take delivery of the Russian missiles. Washington also offered to sell Patriot air defence batteries to Turkey, reportedly under the condition that Ankara cancel its S-400 purchase.